Jayded Dreaming Beauty Blog : NORDSTROM BUY 2 GET 1 FREE MASCARA MADNESS - MAY 24TH 2014 / PREORDER NOW! 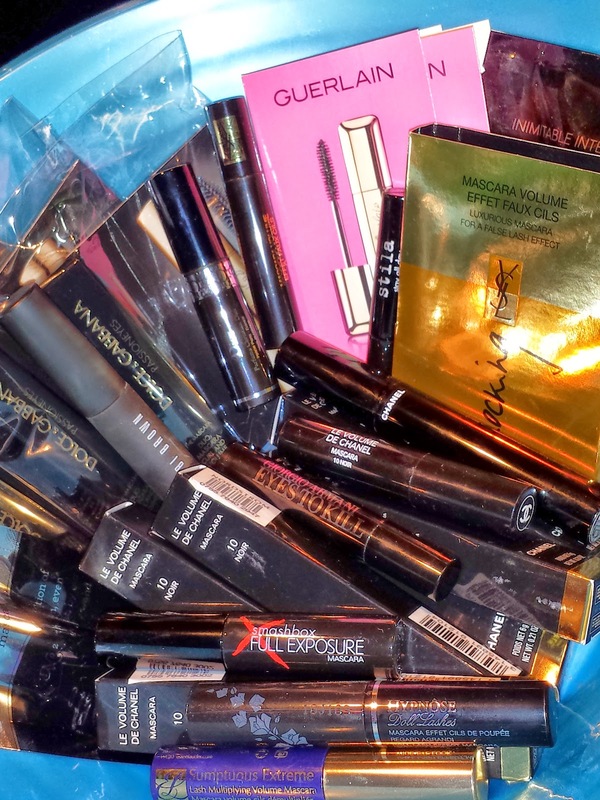 NORDSTROM BUY 2 GET 1 FREE MASCARA MADNESS - MAY 24TH 2014 / PREORDER NOW! About two weeks ago I stopped in at Nordstrom to check out the new Spring and Summer makeup collections. While I was there I found out that Nordstrom is already taking pre-orders for their HUGE Mascara Madness event. Last year they hosted the event twice - once in May and then again in November. This year Nordstrom will host the event In May - this one day only event will be held all day on May 24th, 2014. For those who are unfamiliar with this event - Nordstrom allows shoppers to purchase (in store and online) two mascaras and then receive a third mascara for free. Last year there were no limits on the number of mascaras pre-ordered (I pre-ordered 9 of the Chanel Le Volume mascaras during the November event) and you were able to purchase from across multiple brands. Just remember the lowest priced mascara will be the freebie so keep that in mind while shopping. When you pre-order for the promotion you are guaranteed your mascaras and you will not be billed for them until a day or two before the event. If you decide to wait and make a purchase on the day of the event then quantities will be limited and your favorite brand might already be sold out. The same applies for making a purchase online as well. Additionally, online purchases will only apply to select brands while in-store and pre-orders will apply to all cosmetic brands. So don’t miss out on this exclusive Nordstrom opportunity! Hurry in and get your pre-order before your favorite brand is sold out! There are some exclusions - the B2G1 free promotion does not apply to lash primer or enhancing products (i.e. lash plumping serum). **Please note** All information listed in this post (including the exclusions) are subject to change. I will be sure to update this post immediately should that occur. 1. You can visit your local Nordstrom department store and pre-order the mascaras from any makeup counter. 2. If you don't have a Nordstrom nearby then you can call the closest one and they will let you pre-order over the phone and Nordstrom will mail the mascaras out to you. 3. You can go onto the Nordstrom website the day of the Mascara Madness event and place an order then. Keep in mind the more popular mascaras will sell out quickly the day of the event. It all really depends on what kind of eyelashes that you have and personal preference. When choosing a mascara it all depends on several things - how wiry (hard) or thin (soft) your lashes are, do you want volume (making them look longer) or fullness (making them look thicker) and the last thing to consider is how far apart are your lashes spaced. Are they clumped together with little to no space between them or are they kind of sparse and spaced far apart. Lancôme HYPNÔSE DRAMA is a good mascara that doesn't flake, smudge or smear but it applies wet and over time dries out rather quickly. Chanel Le Volume (one of my favs) is another great mascara but it takes several swipes to get a good application onto the lashes. Guerlain Maxi Lash is great as well and I pre-ordered three of those. I do not like Benefit They're Real - it smudges, it flakes and I hate the wand. However others have had a great experience with it. Giorgio Armani Eyes To Kill mascara is another good one too. My last pick would be Laura Mercier Full Blown Volume Lash Building Mascara which is another fav that I am currently using. I've tried Bobbi Brown's mascara but it makes my eyes itch so its a no go for me. Most of my favs are based on the fact that my lashes are super soft, medium length and spaced close together with no gaps. So I can recommend what works for me but I would suggest start collecting samples. 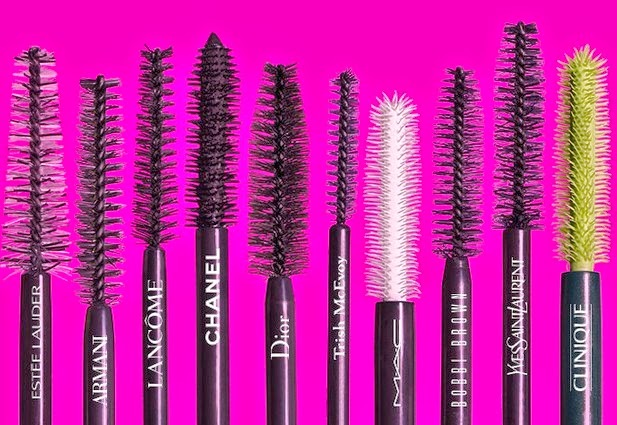 Most high end department stores carry samples of their top mascara and that way you can try it before you spend a bunch of money on something that may not work for you. I did not get to pick up my pre-ordered mascaras at the event yesterday. Can I pick them up after the event? Yes you can pick them up after the event. Just give them a call to let them know when you will pick them up. I always love shopping at The Bellevue Nordstrom. The sales gal Dani at Chanel always gets me samples and the best mascaras!